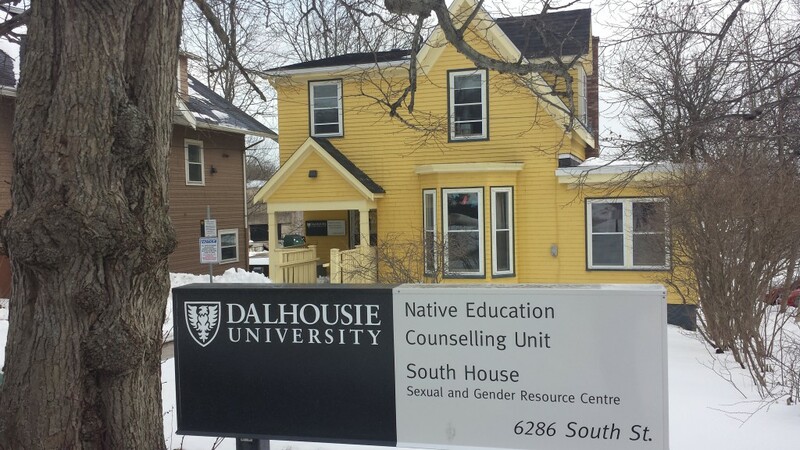 Dalhousie’s sexual and gender resource centre may have lost out on nearly $50,000 of additional funds after the university rejected the society’s levy question. Dalhousie has submitted several concerns with the wording of South House’s levy question that passed with a necessary majority of votes in the Dalhousie Student Union (DSU) election earlier this month, explains an email obtained by the Gazette late Friday afternoon. According to Dal vice-president student services Bonnie Neuman and executive director of student wellness Verity Turpin, South House’s levy question incorrectly stated how much money part-time students already pay to the society and featured unclear wording. Those two blunders nullify the levy increase which was approved by 52.9 per cent of voters in the DSU election, says the university. South House board member Alex Killham believes tossing the question is unfair. South House is not giving up, however. On Monday morning, the Board of Governors operations committee can choose to ratify the levy question. DSU vice-president internal Ramz Aziz will read a letter hoping to sway his colleagues in South House’s favour. If Aziz is not successful, South House will protest the decision. Killham is not sure what the next steps would be. “We’re hoping to give the university a way out of this thing,” says Killham. The society, known as the Dalhousie Women’s Centre until 2012, was scheduled to nearly double their budget with an additional $2.85 per full-time student and $2 per part-time student next year. Based on an estimated 15,500 full-time students and 1,500 part-time students on Dal’s Halifax campuses, South House would receive an extra $47,175. The society already collects approximately $50,000 a year. In an email written by Killham to key South House supporters, she described several of the university’s concerns with the question and the society’s rebuttals. Notably, the university caught an error that stated that part-time students pay South House $1 a year when in fact it is $1.35. South House has admitted to the mistake. The university also claims the levy question does not illustrate how much part-time students are currently paying to finance South House, although the first segment of the question appears to list the fee as $1. Other miscues listed by the university include no mention of the summer fee the centre collects and an imprecise opening statement regarding whether the fees are annual or per semester. Reportedly, Turpin recommends South House tries again in next year’s election. “In her mind, there’s no hope,” says Killham about changing the university’s mind. A request for comment late Friday afternoon to Bonnie Neuman and Verity Turpin was not immediately returned. There appears to be a disconnect between Dal and the DSU regarding the sanctioning of each levy question. The university claims they asked to be involved in the process, but the DSU did not oblige. Killham adds that the DSU supposedly believes the student services department already approved the questions before the election began. DSU president Sagar Jha did not reply to the Gazette‘s interview request. He redirected questions to president-elect Ramz Aziz who could not elaborate on whether the university asked to examine the levy questions because he says he was not involved in those discussions. The wording of each levy question is approved by the DSU and the student union’s legal department before appearing on the election ballot. South House only discovered their levy increase was rebuffed on Thursday when Killham ran into DSU vice-president academic and external Aaron Beale, who expressed his disappointment with the university’s judgment. Killham then informed South House’s staff and reached out to the university for an explanation. The student union is planning to release an official statement after finding out more about the university’s concerns with the levy question, according to DSU communications manager Lindsay Dowling. Killham believes South House should not be at fault because the question had been approved by the DSU and its lawyers. At the time of publication, the Gazette has not heard of any other levy questions dismissed by the university. The five organizations that won at least 50 per cent student support are the Dalhousie Urban Garden Society, Equity and Accessibility Office, Dalhousie Campus Medical Response Team, Dalhousie Bike Centre and the Dalhousie Gazette. Correction: An earlier version of this story said the DSU would release an official statement in support of South House, but, in fact, the student union will issue a statement after they find out more about the university’s concerns after consulting Dalhousie’s board of governors. The article has been changed to reflect that. The Gazette regrets the error and any confusion it may have caused. The BOG can approve fees regardless of the will of the student body. Internationals student differential fees and ancillary fees don’t go to referendum and are often against the will of students. The student union’s governance necessitates a referendum to increase fees of any sort and the university collects the fee for the DSU or society. The student union is autonomous. It should be up to the DSU and DSU council to judge the legitimacy of a referendum. If this is accepted by the operations committee they could add a clause to the current motion to approve the levy stating that the approval would be conditional on the DSU ratifying the levy. Ratification of all levies is part of DSU process and is in its constitution. There will be a discussion at DSU council (Wed April 2nd) about whether the question was valid and it would only go through if council deemed it “fair” and in the best interests of students. If this were done then the university and board of governors would not be responsible for any inconsistencies but would merely be approving what the student union suggested. The DSU put forward a motion to the BOG last spring that would mandate that all new fees get approved by referendum. If this were to have passed then the university would have more responsibility to asses DSU / society fees but since it wasn’t the university shouldn’t have this double standard and shouldn’t have a say in this. I think the university has already realized this, the fee will pass on monday and wednesday and everything will be fine. Ian was the Gazette's Editor-in-chief for Volume 146. He was the Sports Editor for Volumes 145 and 144.